While giving an acceptance speech for his Nobel Prize nomination, Dr. Saadiq Haider, a renowned gene therapist and professor at Stanford University, receives a phone call that changes his life. Abandoning his duties and responsibilities, Saadiq hurriedly boards a flight bound for India, embarking on a journey that spans thousands of miles and pulls him back into a past Saadiq thought long-buried. Seated next to him on the flight, Anne Miller-an intrepid journalist with a nose for headline news-senses the reclusive genius has a story to tell. During the flight, Anne manages to break through Saadiq's hard exterior and listens, rapt, as he unfurls a tale fraught with love and heartbreak. 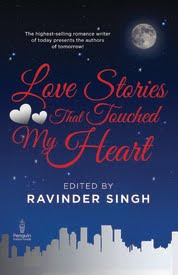 His story transports Anne back in time to a small, sleepy town nestled in the mountains of northern India, where Saadiq spent his childhood. Through Saadiq's narrative, Anne meets Maryam and witnesses the friendship between Maryam and Saadiq mature into an intense love; a love that is tested when tragedy strikes and the lovers are separated. Try as they might, their devotion is no match against the workings of fate, and the tighter Saadiq and Maryam cling to one another, the faster they slip apart. Now, after two decades of trying to forget his past with alcohol and drug abuse, Saadiq tells Anne that fate has acted again; Maryam is in the hospital, her condition critical. When their plane lands in India, the newfound friends part ways and while Saadiq rushes to Maryam's side, Anne returns to her life, grateful to have met the enigmatic man. Months later, Anne learns that after wrenching Maryam from the indomitable grip of death, Saadiq took her back to America, where they finally married. But, her assumption that the greatest love story she had ever known would end happily is shattered. Hamid runs a successful market research company, providing customer insights to some of biggest names in the industry. He is a voracious reader and has been one for as long as he can remember. 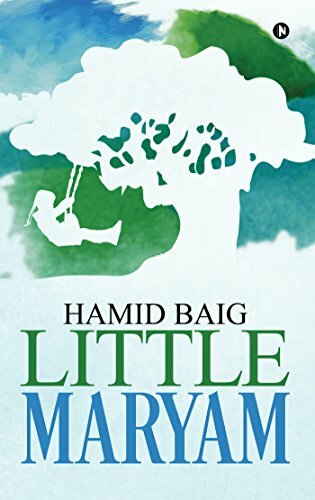 He started penning short stories at a very young age, but never thought of writing a full length novel until the idea for Little Maryam popped into his head. He writes as fast as he reads, which is sometimes just a little too fast. Apart from enjoying good books, Hamid is passionate about travel and food. He is sometimes called "the culture connoisseur" by his friends because he loves having long conversations about different cuisines, exotic travel locations, and of course, books. Hamid lives in New Delhi with his wife and two wonderful kids. When one sees the front cover, with the silhouette of a little girl swinging by a tree, a pre-conceived notion can be formed about the novel. 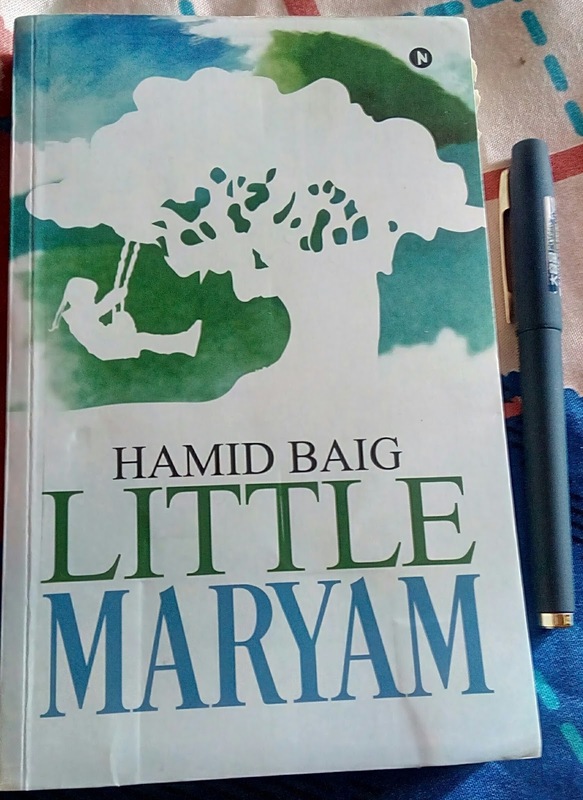 A story of a girl named Maryam, who is playful and fun-loving, and his association with the tree to which the swing is attached, is what I guessed the backdrop to be when I first glanced at this book. 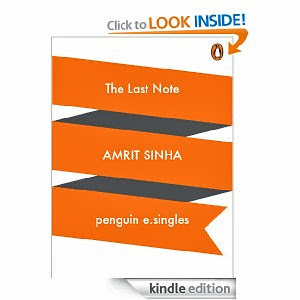 This is true in a way, the only addition being the other protagonist of the novel – Saadiq Haider. Saadiq and Maryam have been in love since the time they first met each other, during their childhood. Maryam was the daughter of Colonel, while Saadiq’s father, Haji, was his gardener. However, the Colonel treated both Haji and Saadiq with dignity, not allowing their different lifestyles affect their bond. When Colonel had gone away for work, Haji had introduced Maryam to Saadiq, so that she could get a companion in her father’s absence. Little had he known that this companionship of childhood would churn out a bond so strong and unforgettable. Hamid Baig, the author, does a commendable job on his debut. He highlights the friendship between Saadiq and Maryam in vivid colours, as they grow up, remaining loyal and attached to each other. The fact that Maryam belonged to the echelons of higher class didn’t deter Saadiq, who had a modest livelihood. It only instilled in him the desire to work harder and get into the good books of Colonel so that some day he could seek his permission to marry his daughter. Saadiq loved Maryam, and cared for her. He grabbed ice-cream from other boys for her, and hit those who teased her. Saadiq and Maryam’s favourite hang out was swinging by the Kalpavriksha (the same tree that is displayed in the cover). They spent hours together, basking in each other’s company, happy and contented. However, love stories seldom have a smooth path. The story takes a sharp twist, a rather harsh one, and we, the readers are left gasping for breath. We feel pity for Saadiq, and Maryam, but we do believe that things would again be fine for them. 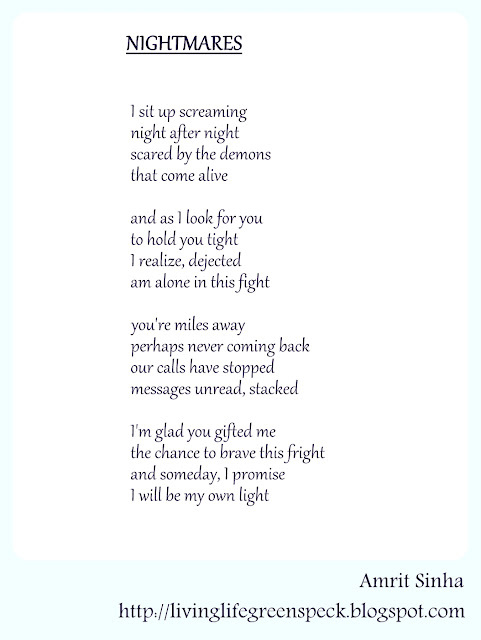 The rest of the story is a progression from darkness to the desperate search of light, draped in the hardships and struggle of the lovers, their successes and failures, and Saadiq’s everlasting devotion to the first and only love of his life. Saadiq as a character develops through each page of the story. 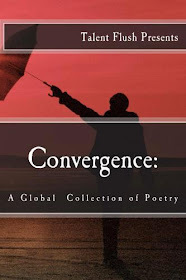 He is everywhere, in the stanzas, chapters and even in the readers’ minds. Saadiq isn’t the perfect hero. He has flaws, and there have been instances when I have hated him for his behavior. His successes made him arrogant, and he is rude with others. He hit people due to his own obsession with Maryam, and also tried to play a few tricks using his power. However, when we re-analyze his actions, we find them to be a mere expression of human emotions. Are we not selfish towards our wants and desires? Don’t we like to protect our love and grant all the wishes that he or she might have? Saadiq actually behaved like any of us would, placed in those circumstances, and that’s when we realize that he is a character which isn’t just the author’s figment of imagination, but also could be a real person. Beneath his tough outlook, he has a heart that beats only for Maryam. He is both a lover and a guardian to Maryam, protecting her and her interests. And by the time I reached the last chapter, I realized that Saadiq has a heart of gold, winning us over with his act to safeguard his love’s happiness. Hamid Baig is fluent in his narrative. He has painted the visuals beautifully, and the chapters flow seamlessly one after the other. None of the events seem stretched or unnecessary. However, there are a few grammatical glitches which could have been avoided. Also, none of the characters, apart from Saadiq and Maryam leave a lasting impression. Nevertheless, ‘Little Maryam’ by Hamid Baig should be your go-to book this spring. It will reach out to you, enthrall you, and gradually seep within you, so that the characters, Saadiq and Maryam, will keep beating inside you, even after days. I came across an interesting article yesterday while surfing through social media sites. It was the account of a daily wage-earner, a single parent, who despite limited means and tough financial conditions, admitted his son to school, took great care of his education (even though he himself didn’t study beyond the fifth grade), and ensured that he fared well in his studies. It was heartening to read how his son stuck by the belief of his father, earning high grades throughout school, high school and university, and is now working as an officer in a reputed Government organization. We take things for granted, out education for example, but we can never undermine its importance in our lives. Again, in the past, there have been several cases of dropouts due to financial restraints, but owing to the new development in policies, primary education has now been declared as a right for all. Different types of schools, catering to people of all means have come up. Parents are more aware of the value of education, and the students are also growing smarter. The values they imbibe in childhood serve as a base as they grow up. We can consider education as a triangle, with parents, teachers and students forming the three vertices. There should be mutual coordination among all three in order to have a successful education system. A good school isn’t just enough, it requires good teachers too, someone who can educate and not just teach, someone who can impart values and throw light on the next stages of life. A nascent mind needs guidance, and parents and teachers have equal responsibilities in nurturing a little child. A good understanding between the two is a must for a child to develop. Schools conduct parent teacher meetings at regular intervals, a platform where they can share ideas and focus on their child. Parents should open up about the challenges they face, and so should the teachers. Education is a goal for them and a journey for the child. With proper care and diligence, the destination can be reached successfully. There are schools for everybody now. We have public, private and charter schools. There are various models like the non-profit network of Rocketship Education, which follows a teacher-led, technology supported approach to personalized learning that suits the requirement of the students and their parents. Now, one doesn’t need to be rich to send his son or daughter to school. He should just have the understanding and know the value of education, and that is what is expected from all current parents, so that we have a brighter and smarter next generation. Education is our right, as well as our duty, and we should stay true to both, for us, for our children, and for the society at large.